An innovative new care centre has helped to ease patient demand on hospitals with a four-day-a-week clinic, dealing with patients who ahve complex wounds; it has also shown signs of improving healing rates in patients. Patients living with chronic or complex wounds in Kent can access specialist nurse-led wound care via their local community hospital. The specialist wound medicine centre was officially opened at the Victoria Hospital in Deal, Kent, last month. 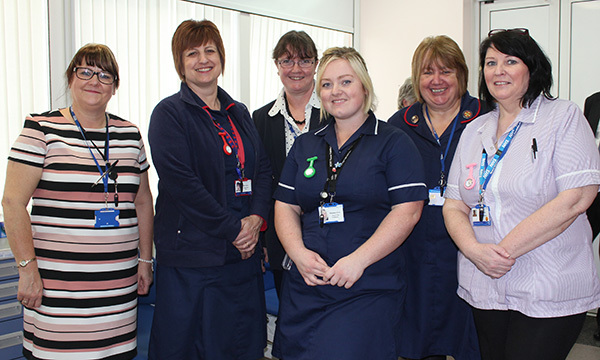 The centre is staffed by two advanced wound nurses with support from a tissue viability nurse. Since starting up at the end of October, the centre has treated more than 50 patients. The nurses run a daily clinic at the centre and see an average of ten patients a day. The Deal clinic currently operates four days a week, offering patient appointments from 9am to 4pm. However, the daily clinic service runs five days a week so patients attend an alternative satellite clinic location one day a week. Satellite clinics are available in Dover, Folkestone, Hyde and New Romney. Kent Community Health NHS Foundation Trust (KCHFT) plans to make the daily clinic a seven-day service in response to patient demand. 'The centre aims to provide high-quality care to patients who have problems with long-standing, complex, non-healing, chronic wounds,' says KCHFT clinical improvement project manager, Sherrie Ryder. Patients can also access podiatry and lymphoedema services at the centre. The trust’s tissue viability nurses are lymphoedema trained and can offer further specialist care for complex wounds such as the debridement of wounds. Attending appointments at the Deal clinic provides patients with well-being benefits too, says KCHFT head of adult clinical services for the South Kent Coast, Nicola Osborne. The centre is equipped with patient couches, specialist chairs and trolleys. Specialist equipment includes a doppler ultrasound assessment facility which Ms Ryder says is 'something you would not see in the general community nursing environment'. Doppler ultrasound is used to detect velocity and location of blood flow in both the arteries and veins. Treatment plans are designed in conjunction with patients and the specialist nurses organise all dressings and prescriptions. This continuity of care is resulting in less dressing wastage and a reduction in dressing costs, says Ms Osborne. The specialist nurses work closely with community and district nursing colleagues. 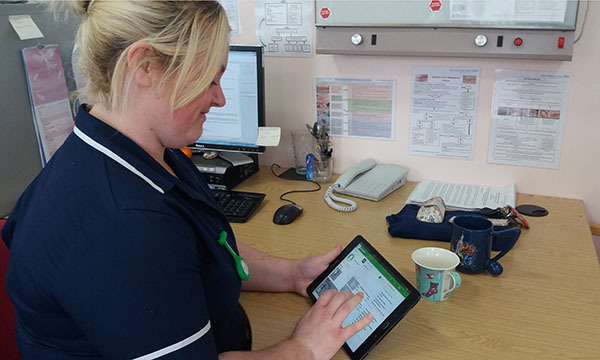 This includes providing advice over the telephone or reviewing patient wound images which the community nurses are able to send to the centre via their tablets. They also support practice nurses and will go out to local GP practices to assess patients and set up joint management treatment plans. Their day-to-day role is largely based working in the clinic, however. Additionally, the specialist nurses keep in regular contact with community nurses to inform them about patient treatment plans. Community nurses also have the option of reviewing patients at the centre or spending time personally in the clinic to update their wound care knowledge. Staff at the centre are working towards performance indicator targets such as improved healing rates and reduction in the use of silver dressings. As the service is still relatively new, there is no data as yet to judge progress. However, patient satisfaction with the care provided is high. The specialist wound medicine centre in Deal is currently piloting the use of the WoundMatrix digital application which has been created through a partnership between the trust and the US-based technology company, WoundMatrix Inc. The app aims to support clinicians to heal wounds and pressure ulcers faster. Nurses, who already use tablets in the community, are able to take photographs and measure the length and width of wounds at each patient appointment. The images can be sent directly to the centre to be looked at by the specialist nurses for instant advice. 'The nurses are able to move the camera around on the app to look at the wound from any angle,' says Ms Ryder. 'They can also span the view if the specialist nurses want to look at another part of the patient’s body. Last year, patient Linda Gass, developed a large ulcer on her lower left leg following varicose vein cauterisation and a resultant hospital-acquired MRSA infection. 'The cut on my leg was only about an inch long, but once it was infected by MRSA it increased in size,' explains Mrs Gass. She was referred to the Deal clinic by her district nurse and finds visiting the centre convenient as it is located around a mile from her home. Mrs Gass attends the clinic three times a week.